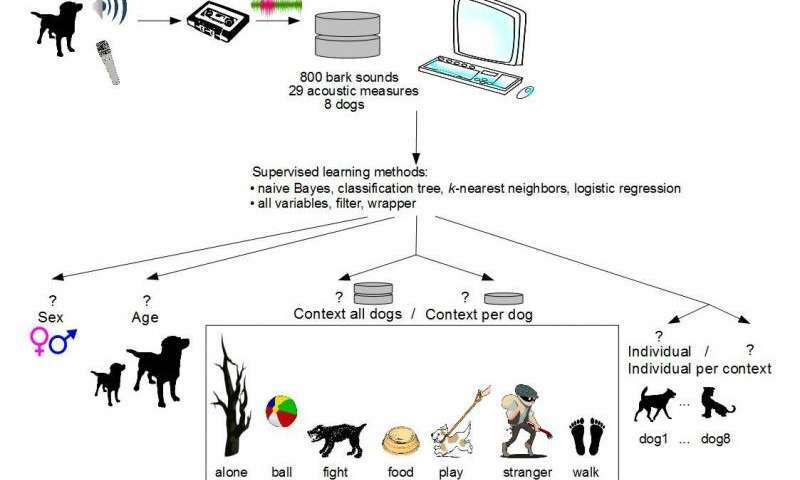 An international group of researchers has conducted a study on canine behavior showing that gender, age, context and individual recognition can be identified with a high percentage of success through statistical and computational methods of pattern recognition applied to their barking. The results of the study have been published in the journal Animal Cognition. This research aimed to understand the acoustic signals obtained from dog barking when the dog subjects are subjected to certain situations. The research was conducted through the development of a computational system based on statistic modeling that is able to recognize diverse characteristics of the dog (gender, age, individual, situation). The experiments were carried out in Budapest with eight Mudi breed dogs from Hungary, usually used as sheep-dogs—three males and five females. Each dog (aged between one and 10) registered 100 barks. A total of 800 barks was obtained by placing the dogs in seven different situations: (a) alone, after the owner tied the dog to a tree; (b) playing with a ball; (c) fighting, when a human pretended to attack the dog’s owner; (d) receiving their food ration; (f) in the company of a person who was foreign to the dog; and (g) preparing to go out with the owner. Each one of the 800 barks was characterized from 29 acoustic measurements. By using the diverse computational models obtained from the collected data during the experiment, researchers successfully recognized the dog’s gender 85.13% of the time, while the age of the dog (recoded as young, adult and old) was classified without mistakes 80.25% of the time. The task of identifying the situation in which the dog was engaged was successful 55.50% of the time, while the recognition (among the eight dogs participating in the study) of the Mudi breed was successful the 67.63% of the time. Whilst a highly technical bit of research, particularly for those of us who are challenged by computer programming and mathematics, there are applied uses for this research such as in assessing dog behavior. Software programs using these models could help to identify fear, anxiety and levels of aggressiveness in a dog. 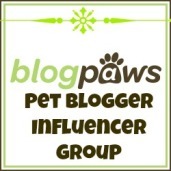 This entry was posted in Dogs, research and tagged barking, cognition, computational modelling, Mudi, voice recognition. Bookmark the permalink.